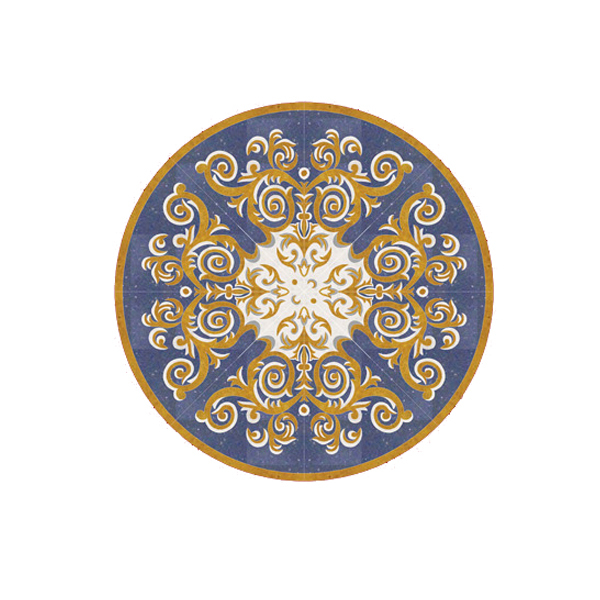 This waterjet mosaic with oriental influences presents a rich wave type ornaments on a blue background. 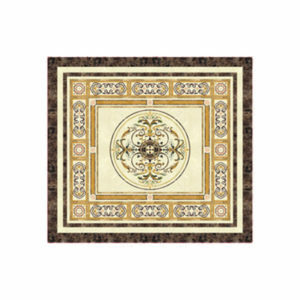 The arrangements that combine light brown with the white color from the center makes it the perfect mosaic in any background. 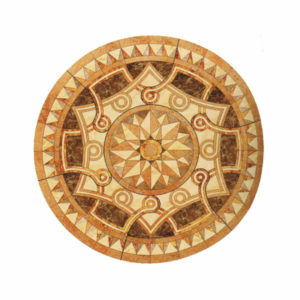 The radial positioning the white and brown elements give an expansive perspective to the mosaic, together with the high quality marble equals a life lasting stylish investment. 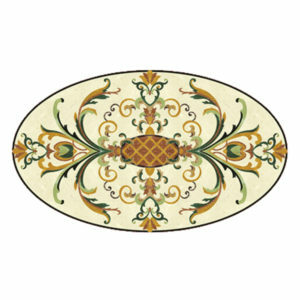 Categories: All Products, Circular. 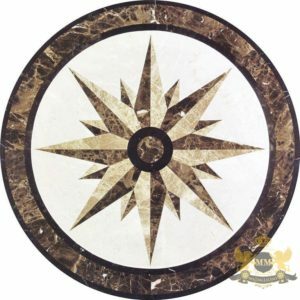 Tags: CAD drawing, circular medallions, Decorative tile, Floor medallion, Floor medallions london, London, marble tiles, Mosaic, mosaics, tiles, Tiles in London, waterjet medallion, waterjet medallions.